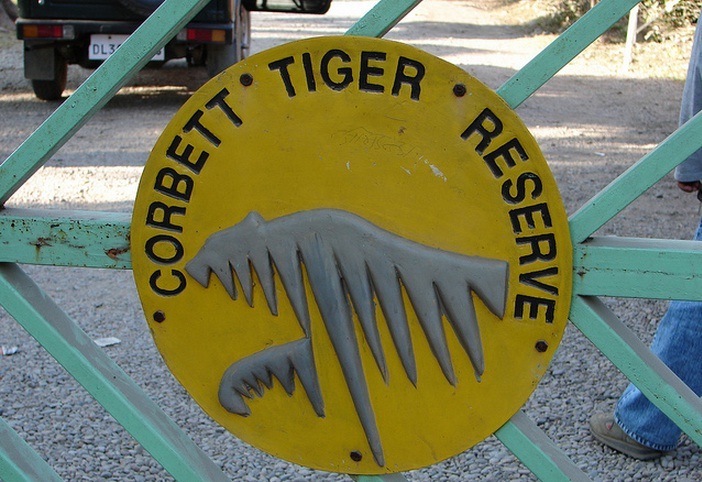 Whenever the name Jim Corbett comes up, one cannot but help think about tigers in the wild. 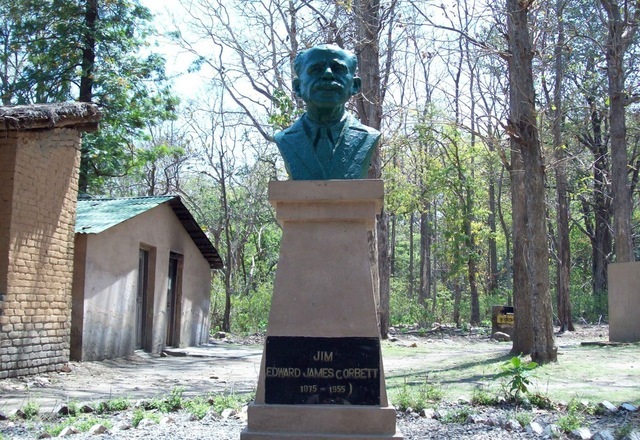 His name has been immortalized in the form of the Jim Corbett Park. Perhaps because this is one of the finest natural parks to see tigers roam freely in their natural habitat, one thinks about these animals at the very mention of his name. About the Flora at the Park Dominated by Sal forests, the Park has around 488 plant species recorded till date. About the Fauna at the Park Fauna at the Park is innumerous. Popular mammals here include Bengal Tigers, leopards, elephants, sloth bear, langurs, etc. Popular birds include red jungle fowl, parakeet, etc. However, there are about 585 species of birds at the Park. Popular reptile species range to around 35 in number. 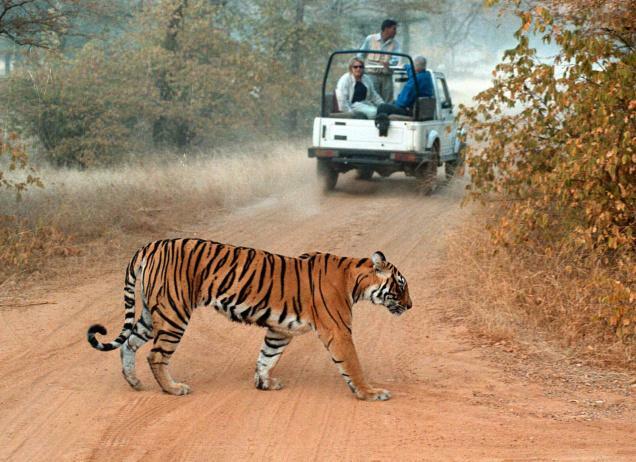 Activities on Corbett National Park Tour There are a lot of fun and adventure activities you can enjoy on one of the Corbett National Park Tour Packages. Here are the most popular activities enjoy by several tourists visiting the place: - Elephant Safari: Planning an Elephant Safari to the jungle is a treat for the tourists. The safari allows you to stay closely in touch with nature, wild and floral beauty of the Park. - Jeep Safari: Another desired safari at the Park is Jeep Safari, preferably an open jeep. The safari allows you to enter a bit deep forest region and watch some rare species of wild animals and reptiles without being slightly harmed. You may even get a chance to spot a tiger if you are lucky. These safaris are arranged under expert guidance of professional tour operators, hence you are completely safe and equipped on the tour. - Bird Watching: Bird watching is another adored activity by both professional and holiday travelers. There are several unique as well as common species of birds filling the appetite of bird lovers. 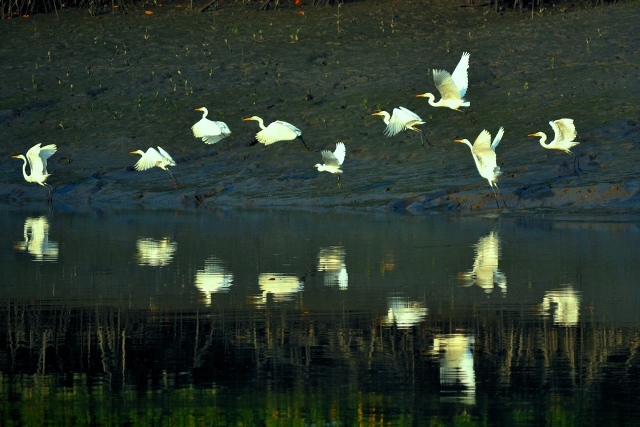 A bird watching tour to Corbett will take you to the ideal spots for bird watching and photography. Corbett National Park India is visited by numerous national as well as global tourists to get a glimpse of some of the rare species of wild animals, which couldn’t be found easily elsewhere. Both professionals as well as vacation lovers throng this park very year. Key attractions of the park are given next. Wildlife As it is specifically a wildlife reserve, wildlife forms the primary attraction of the park. It is a home to Bengal tigers, which were on the verge of extinction few decades ago. All thanks to the great hunter Jim Corbett, these tigers form the biggest craze among tourists. Other major wildlife varieties you could spot in the park include sloth bear, jackal, wild elephant, deer, Himalayan black bear, leopards, jungle cats and many more. Do not miss to have an elephant ride, which is too adventurous and enjoyable. Bird Watching Bird Watching is another sough after attraction of the park especially for bird lovers and kids. With an exceptional variety of bird life, the park is considered to be one of the best spots for close bird watching and hearing chirping of birds. 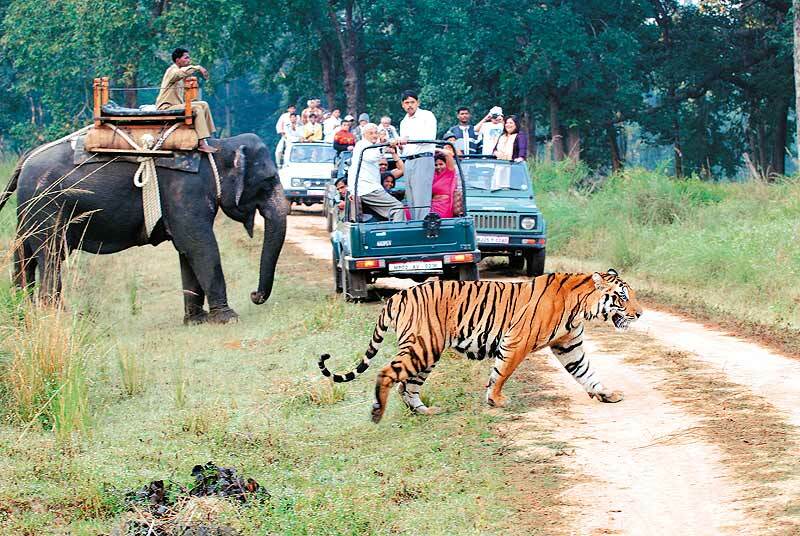 Ramnagar Though not within the park, Ramnagar forms yet another attraction for tourists visiting Corbett National park. It is located in the farm of the Terai. 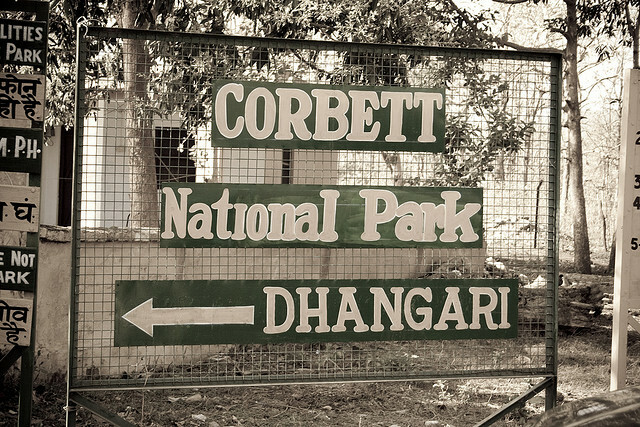 Ramnagar forms one of the main administrative centers for Corbett Park and Project Tiger. Jeep Safari A jeep or elephant safari is a must in any good wildlife sanctuary tour. 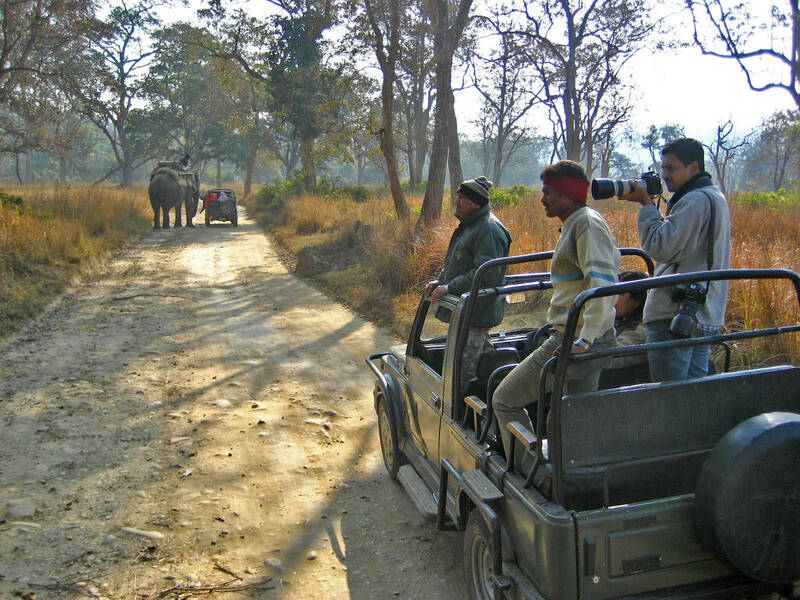 In Corbett, you’ll experience a wonderful jeep safari guided by professional experts. This safari will allow you to get very close to the wild along with being safe and fully equipped with all necessities. In fact, the safari will offer valuable moments of your lifetime. A well guided and planned safari will give you a chance to stay close to nature and forget all your worldly worries at least for some time. 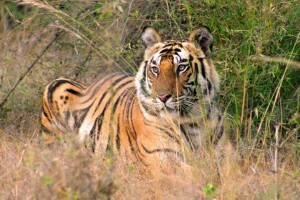 It is advised to choose a complete Corbett package tour so as to enjoy the trip thoroughly. Visit best online tour and travel sites for more information.